Still have questions? Send us an email at [email protected]. We offer Data Analysis Services to our e-DECA users! Let us help you get the most out of your e-DECA data. Click here to learn more. 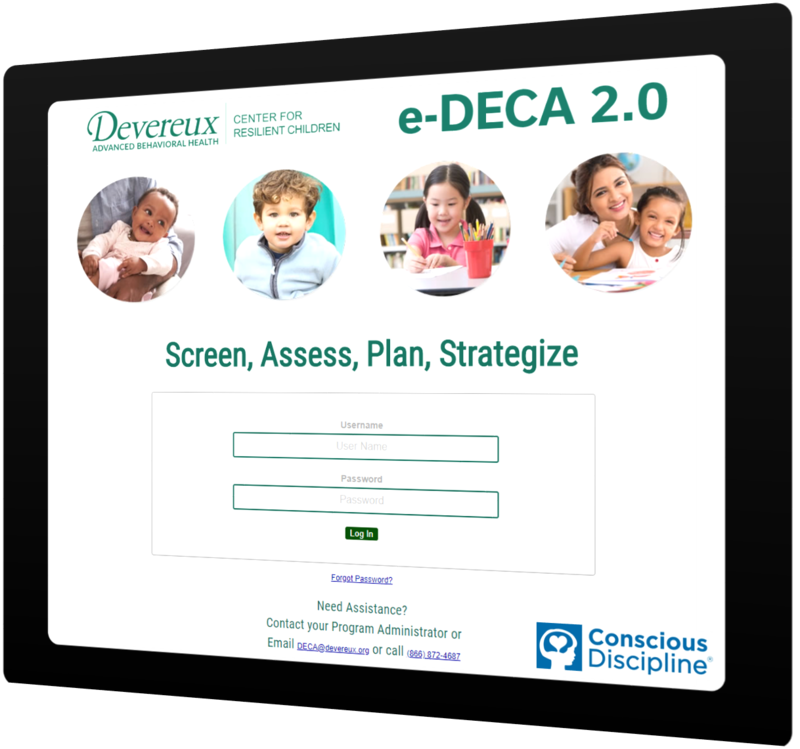 Want to get started with Conscious Discipline & e-DECA 2.0 in your program? Now build teacher resilience on e-DECA. Teachers’ protective factors matter too. e-DECA now allows teachers to complete the Devereux Adult Resilience Survey (DARS) within the e-DECA system. Learn more about our commitment to adult resilience here, download a PDF of the DARS here, or watch a 1-minute video on how to access DARS on e-DECA. Assess your progress with DECA & support with Conscious Discipline strategies. For programs using Conscious Discipline, the availability of a nationally standardized, strength-based assessment of children’s resilience is a much needed tool to track progress and monitor outcomes. “Conscious Discipline has been recommending the Devereux Early Childhood Assessment (DECA) for many years. We are delighted to now offer our users a more efficient way to assess children’s social and emotional health and resilience, monitor progress in the classroom, and customize strategies to promote children’s resilience,” says Keith McIntyre, Conscious Discipline’s Executive Director. For programs already using the eDECA and Conscious Discipline, this resource can serve as a solution to make social and emotional assessment and planning a more efficient and coordinated process.